At WWDC 2017 Apple announced MacOS High Sierra, and, as the name suggests, this update to the Macintosh is taking everything that was in Sierra and refining it meticulously. This year's update is mainly aimed at developers but includes a few new features that are surely going to be well-received by everyone else. Apple is bringing a bunch of new changes to Safari with High Sierra that may make you think twice about using Chrome when it releases towards the end of the year. The Cupertino based company claims to have carried out extensive desktop browser testing and have stated that Safari on High Sierra is now the fastest browser around. Along with being the Usain Bolt of desktop browsers, Safari is also making sure that you’ll never go to a web page and have an intrusive video start playing by introducing a self-explanatory feature named Autoplay blocking. Furthermore, the browser is also covering your trail with its new Tracking Prevention feature that means after you finish looking at something on Amazon for instance, that product will no longer chase you around the internet with a big ‘buy me’ button sitting below. Apple has emphasised that this is a move to protect user privacy and is not a threat against ads, the ads will still be there, but you won’t get that feeling of being tracked that you did before. Mail on the Mac is now more intuitive to use than ever with Apple introducing Full-screen Split View meaning that you can now compose a message while still being able to access the entirety of your mailbox. What’s more, your messages will now be kinder to your hard drive by using up to 35 per cent less storage space. The photos app has always been an awesome place to see everything you’ve ever taken with your iPad or iPhone, however, the app is now getting some changes that make it even easier to navigate. To start with, the app now has a section for all the photos and videos that have been imported and displays them in chronological order. The People section of the photos app has always been great, but there are times where even if someone is wearing a pair of glasses the app will think that it’s a different person. Before, this meant you had to manually go through each picture and add that face to a particular person, however, face recognition has been improved drastically so you’ll be doing this a lot less and you’ll be spending more time looking at the content you’ve taken. Furthermore, when you make categories and name people on the photos app, this is now synced across all other devices you have. The most interesting feature to come to Photos is in the way you are now able to edit photos meticulously within the app itself. Apple has introduced a new feature called Curves that allows for precise colour and contrast editing. Additionally, there is also a new Selective Colour that lets you modify colours within a range, meaning you can now change colours of clothing for instance without making the image look as if it’s been tampered with. Remember when Apple introduced the ability to add a bunch of pictures to a printed book? Now Apple has partnered with a ton of new companies that are going to take some of the printing burden off the tech giant to give you some great ways to have physical copies of your memories in the form of wall mounts. With High Sierra, Apple is bringing its Apple File System to the Mac, this a 64-bit system that is optimised for modern storage such as Flash. All of this basically means that when you go to copy files such as large videos for instance, you’ll find the duplication process is vastly quicker with High Sierra due to better optimisation. Just like they are with the iPhone and iPad, Apple is moving from H.264 to H.265 High Efficiency Video Coding (HEVC). In a day and age where 4K video is becoming the new norm, you want your computer to store these files while keeping as much space as possible while preserving the quality of the video in question. HEVC does exactly that and provides up to 40% better compression than what can be found with H.264. 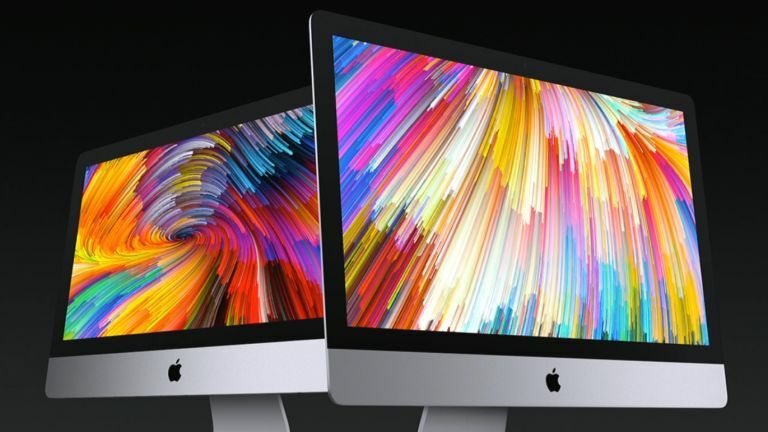 Apple has introduced a second version of its Metal engine that is the software used by developers and Apple itself to produce all the graphics that you see on the Mac. All you need to know is that graphics are now better than ever on the Mac and all animations you see with High Sierra should be smoother than ever. Metal is also coming to VR with High Sierra, this means that for the first time developers will be able to create content for users to immerse themselves in on the Mac. The company has also worked with Unity and Unreal to bring their respective VR engines to the Mac. Although there aren't a plethora of features that are going to make your Mac feel like an entirely new device in the same way that iOS seems to on iPhones and iPads every year, this year's update to the Mac will be lapped up by developers who will be eager to take advantage of everything this new update has to offer. High Sierra is going to make Safari more competitive with Chrome than ever and give you a ton of new functionality in the Photos app. This may not be the most exciting update Apple has ever released, but it’s one of the most essential. MacOS High Sierra will be available to download this Autumn.